2005 Rebuilding Together with Yahoo! Virtual Vargas Garden California Native Plant Tour! Genus: Verbena Species: lilacina Cultivar: "De La Mina" Description/Care: An evergreen perennial collected from its native Cedros Island. It forms an 18 to 24 inch mound of foliage from which emerge the dark purple, star-shaped flowers with purple stamens. Plants can bloom most of the year with a peak in spring and summer. 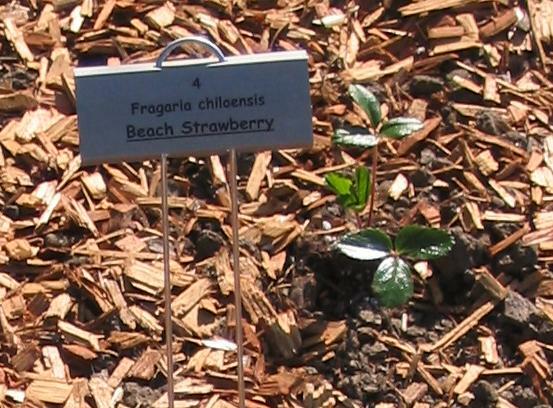 Although this plant is not native to California proper, the islands of Baja California are considered part of the California floristic province. Full to part sun. Low water needs, but likes some when flowering. Needs good drainage. Should be cut back to 4" each winter. 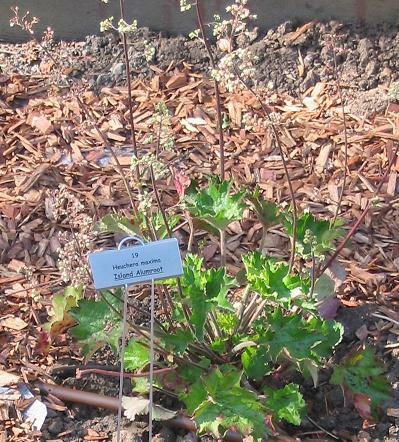 Description/Care: A spreading perennial ground cover with small white flowers, March-Aug. Likes some water and part shade. 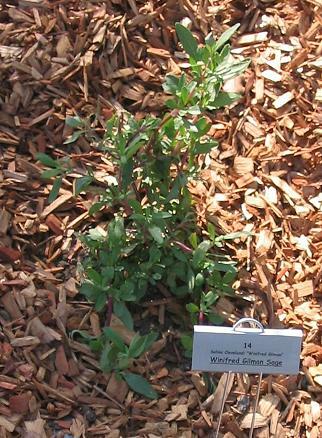 Native to coastal bluffs and sand dunes in Calif.
Description/Care: A low rounded evergreen shrub that can spread to 4'; also considered a herbaceous perennial. Will get terminal clusters of pinkish white fuzzy flowers; long bloom period, March-November. Very widespread; found on rocky south facing slopes of the Mojave, Sonoran and Chihuahuan deserts; elevations of 1000-4500ft. Likes full sun; sprawls unattractively in low light. A better ornamental with a little water. Cut back mid winter to encourage herbaceous growth over woody look. Special Uses/Qualities: The buckwheats are very important butterfly plants. The flowers, leaves and seeds are all used by all the smaller animals. Description/Care: Perennial, 3-4' tall, showy pink flowers button-like flowers in the spring. Will seed itself freely. Needs sun, and is quite drought tolerant. Needs cross-pollination for fruit and seed development. Description/Care: A hybrid between Salvia mellifera and Salvia sonomensis, it grows 3' tall and 3' across and produces beautiful, fragrant blue flowers. Very fast growing. Likes some summer water. 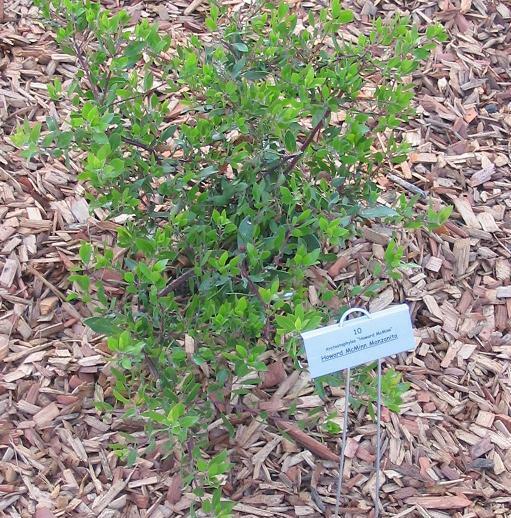 Description/Care: Evergreen shrub, 3' height, 3' width, with flowers lavender to blue. Fast growing, likes sun to partial sun and is drought tolerant. Extremely fragrant and showy with mounding/upright growth. Native to dry slopes in San Diego County. 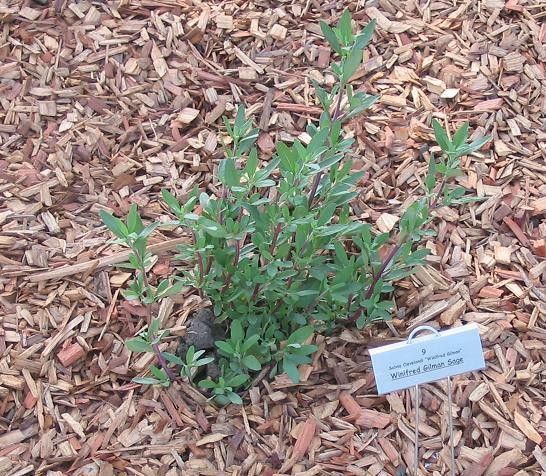 Description/Care: The plants have very small white flowers with red stems and they are easy to care for in most gardens. Grow 4' tall, 6' wide and can tolerate sun or shade. It likes limited root moisture. Special Uses/Qualities: Moths, hummingbirds, butterflies and all sorts of other native wildlife like the plant. Description/Care: Pretty, blue-flowering perennial that likes some summer water. Special Uses/Qualities: Butterflies really like this plant. 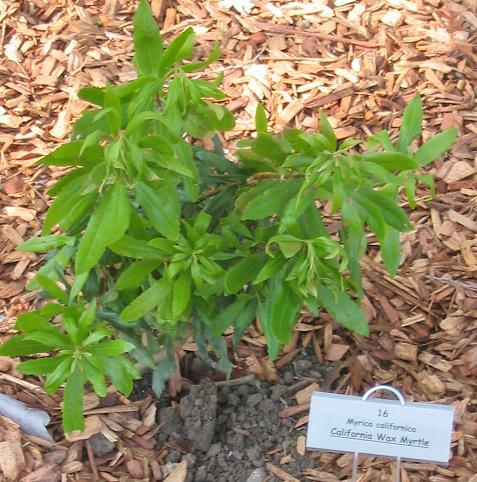 Description/Care: An evergreen shrub or tree to 15'. Native to the immediate coast of Calif., Ore., Wash. Needs good drainage, some summer water, and can tolerate sun to part shade. 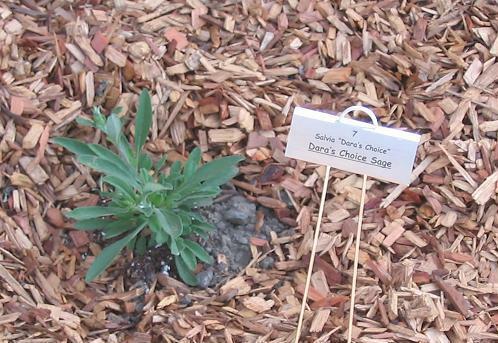 Description/Care: Bulb, 2' loose spike of small white flowers , May-Aug, sun, drought tolerant. Special Uses/Qualities: Bulbs may be eaten when roasted (soapy onion), bulb used as soap. Genus: Galvezia Species: speciosa Cultivar: "Boca Rosa"
Description/Care: This California native sub shrub forms a dense mound with arching stems reaching to 4 feet tall. In the summer through early fall it produces tubular bright red flowers that resemble small snapdragon flowers. 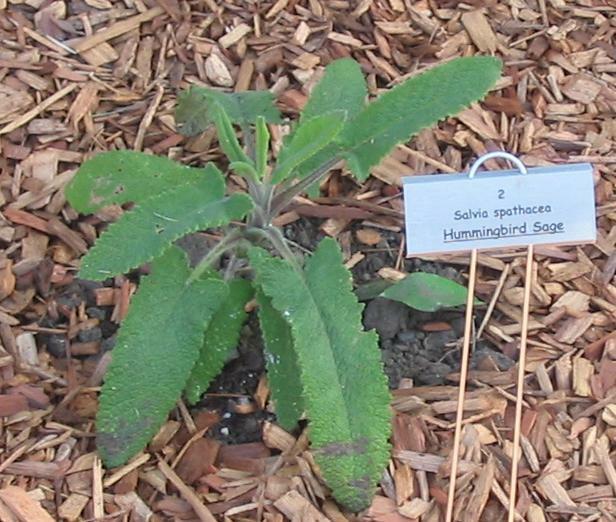 Plant in full sun to moderate shade in well-drained soil. 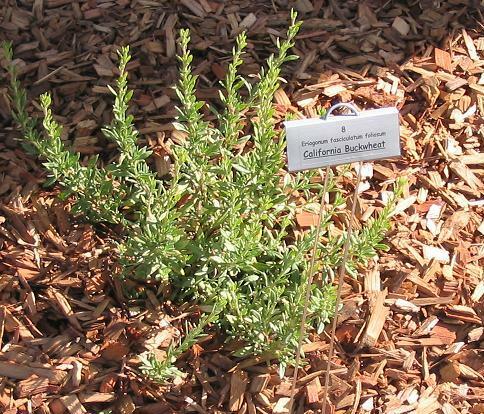 It is drought tolerant, especially if planted in shade. 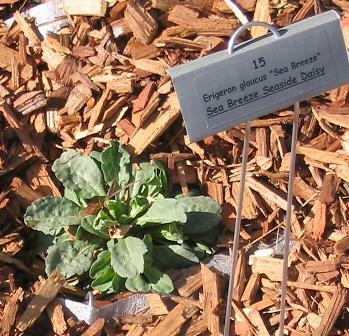 Description/Care: A 2' wide perennial with 3-5" dark green leaves and 3' spikes of small pinkish flowers that emerge in Feb.-Apr. Native to the Channel Islands. It likes part to full shade, and is quite drought tolerant.